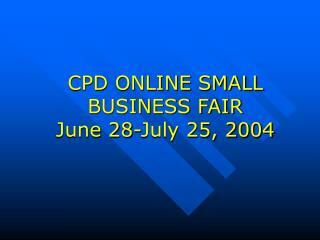 Welcome to the Office of Community Planning and Development’s Online Small Business Fair. Using technology, we can provide you with essential information about CPD programs and initiatives, link you to the Forecast of Contracting Opportunities, and invite you to send information for inclusion on CPD’s Contractor List. CPD is fully committed to working with the small business community. We recognize the important role small businesses play in our communities. 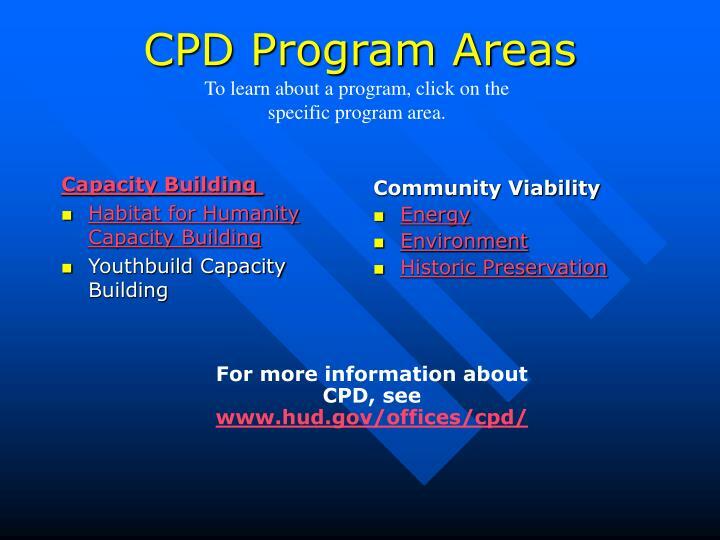 It is my hope that this event will inform you of CPD’s goals and technical assistance needs. 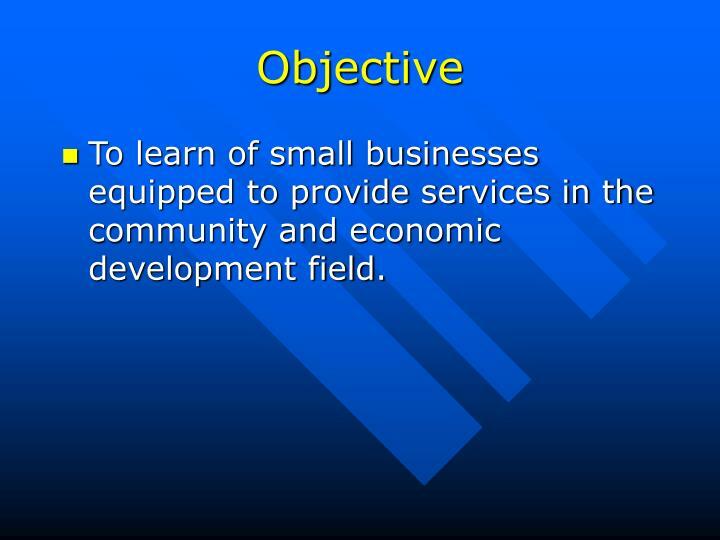 To learn of small businesses equipped to provide services in the community and economic development field. 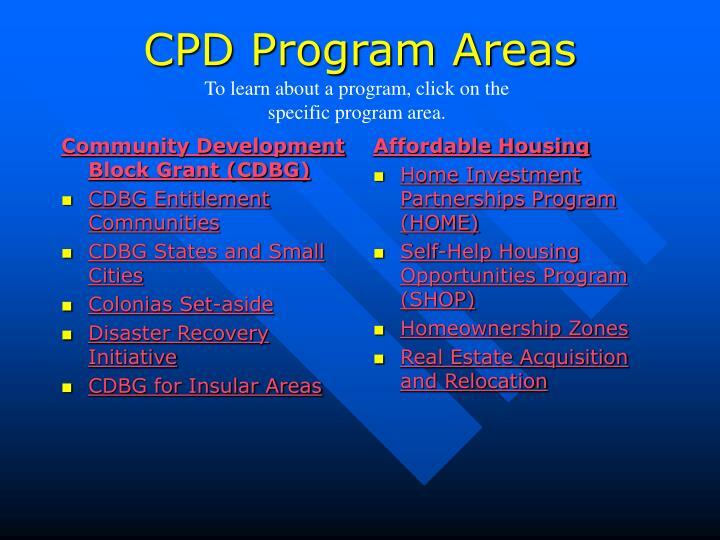 CPD seeks to develop viable communities by promoting integrated approaches that provide decent housing, a suitable living environment, and expanding economic opportunities for low and moderate income persons. To help meet this goal, from time-to-time CPD enters into contractual agreements with private firms who provide program specific technical assistance. 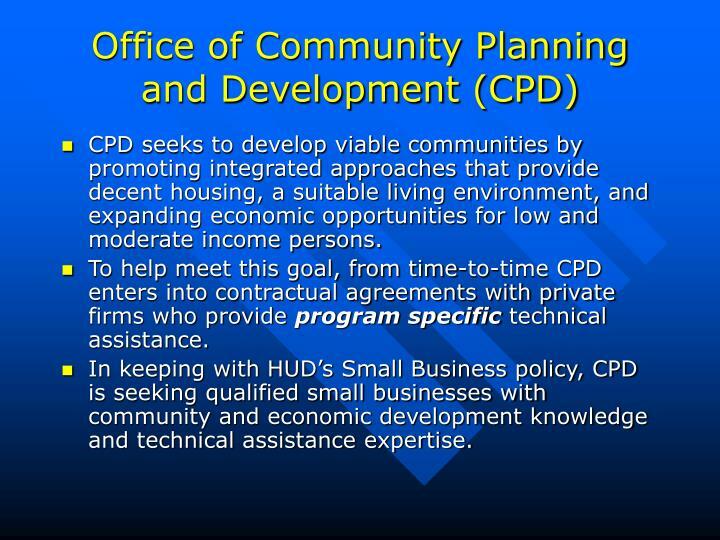 In keeping with HUD’s Small Business policy, CPD is seeking qualified small businesses with community and economic development knowledge and technical assistance expertise. 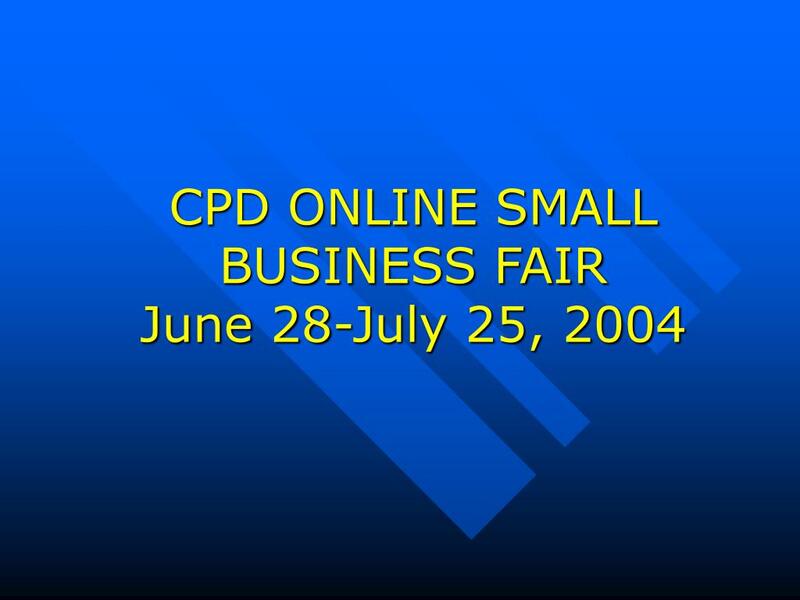 What is the CPD Online Business Fair? 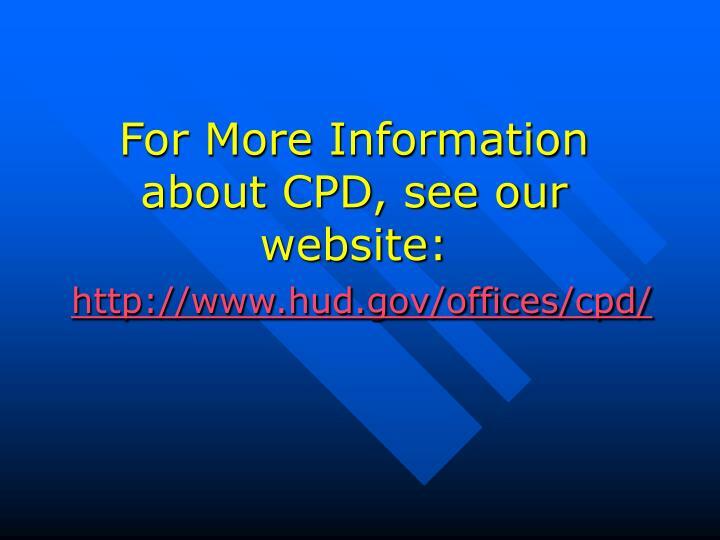 CPD reaches out to small businesses using the HUD website. 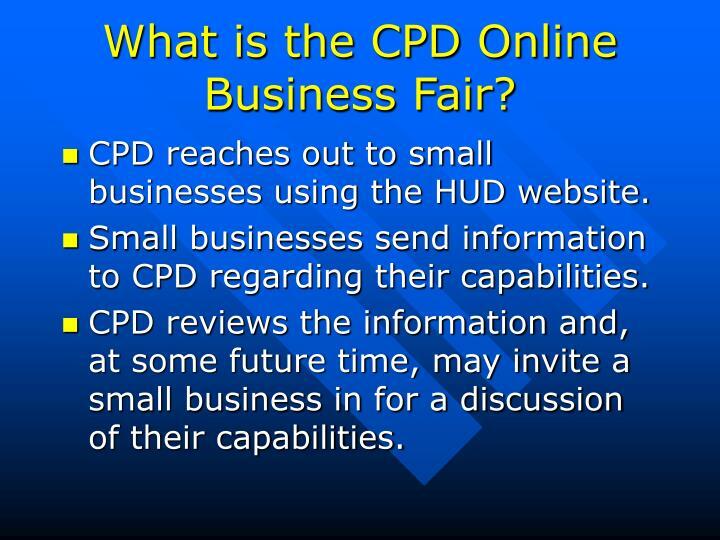 Small businesses send information to CPD regarding their capabilities. CPD reviews the information and, at some future time, may invite a small business in for a discussion of their capabilities. 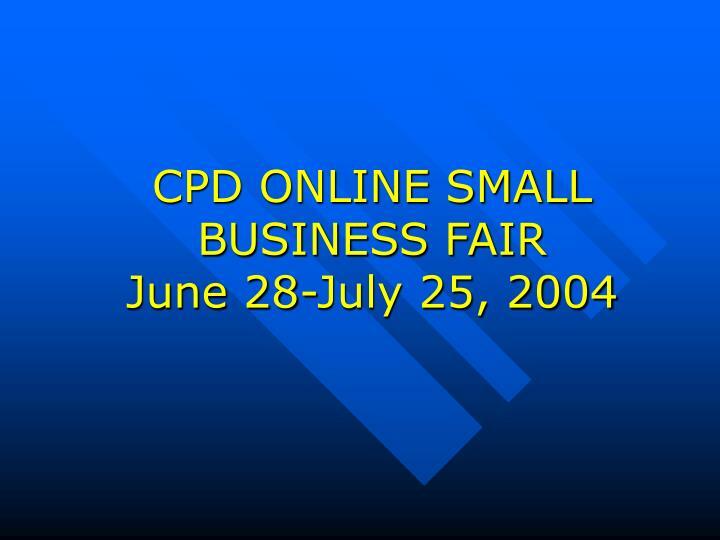 The CPD Online Small Business Fair will commence on June 28, 2004 and run until July 25, 2004. During this time, participants will have access to information posted on the website. 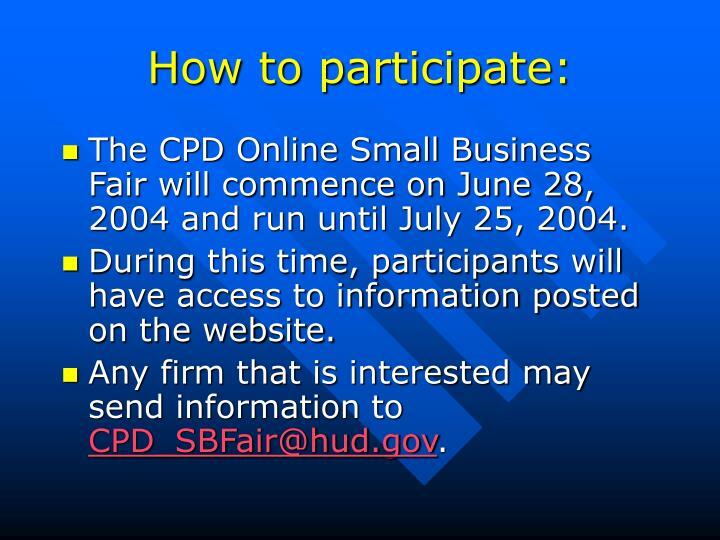 Any firm that is interested may send information to CPD_SBFair@hud.gov. 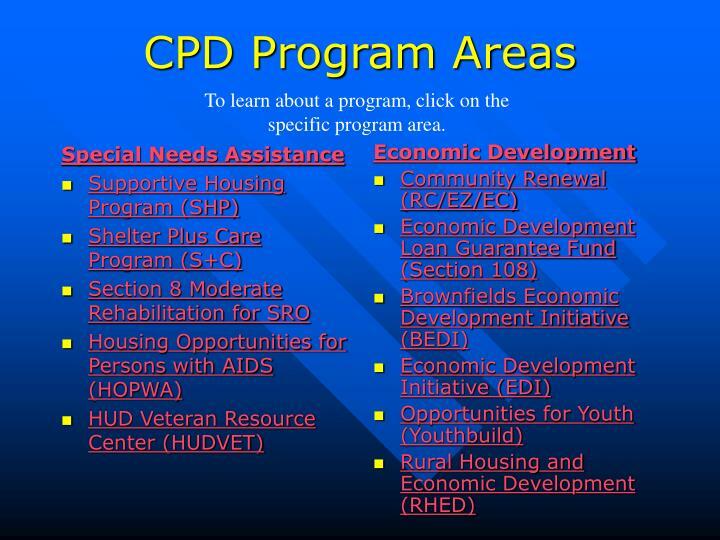 To learn about a program, click on the specific program area. What are the current procurement opportunities with CPD? CPD will continue submitting procurement opportunities to the Office of Small and Disadvantaged Business Utilization (OSDBU), Forecast of Contracting Opportunities Products and Services. 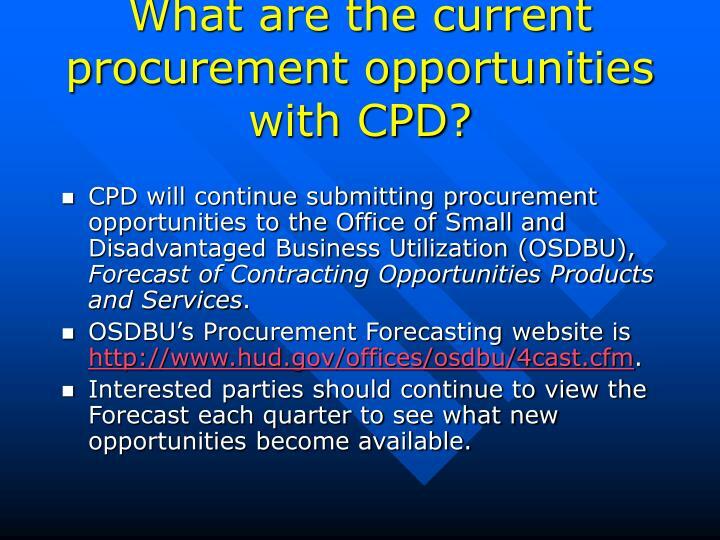 OSDBU’s Procurement Forecasting website is http://www.hud.gov/offices/osdbu/4cast.cfm. Interested parties should continue to view the Forecast each quarter to see what new opportunities become available. Knowing how to properly identify yourself is key. Like many agencies, HUD wants to increase contracting opportunities for small business procurement preference groups. 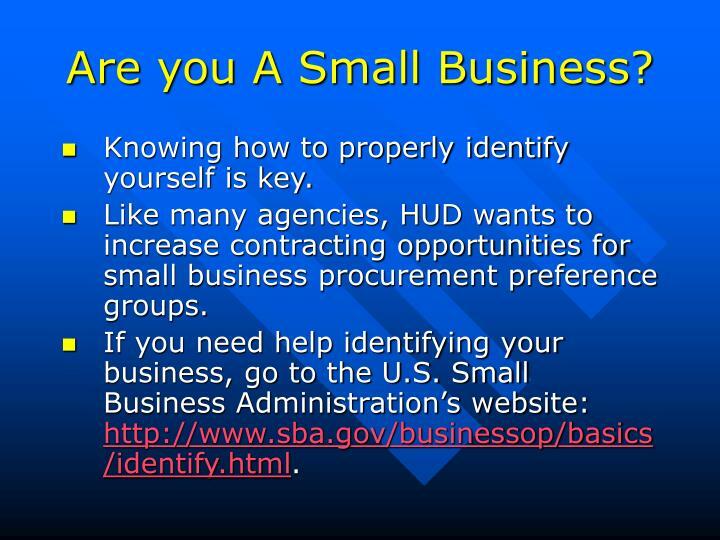 If you need help identifying your business, go to the U.S. Small Business Administration’s website: http://www.sba.gov/businessop/basics/identify.html. 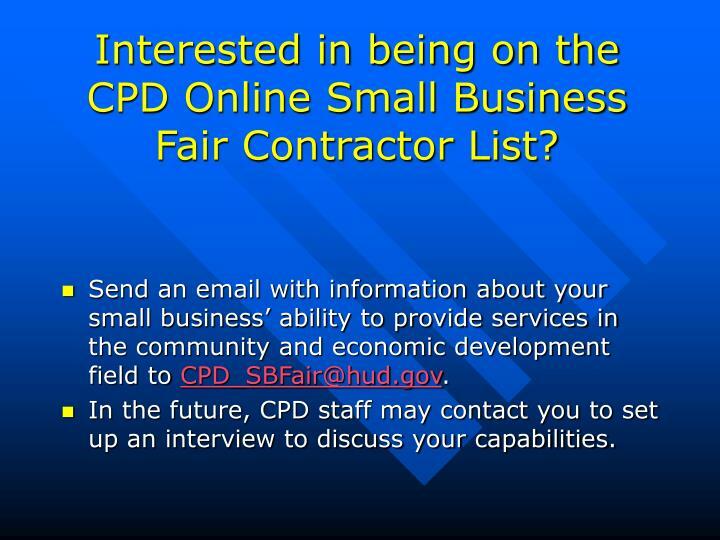 Interested in being on the CPD Online Small Business Fair Contractor List? 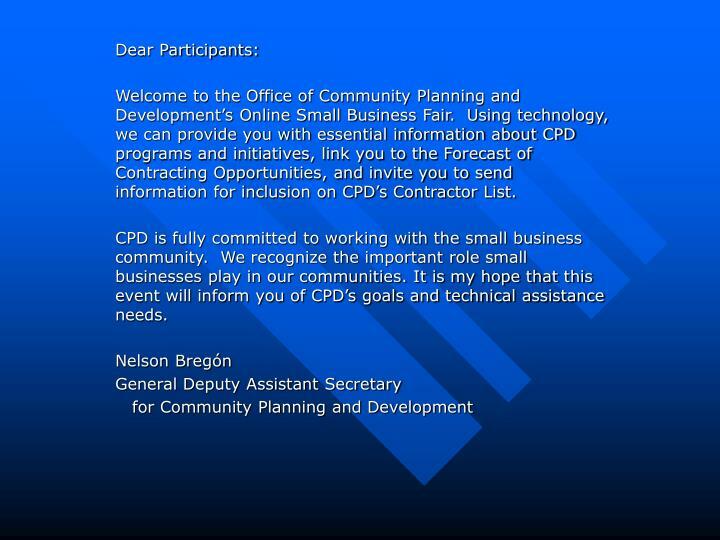 Send an email with information about your small business’ ability to provide services in the community and economic development field to CPD_SBFair@hud.gov. In the future, CPD staff may contact you to set up an interview to discuss your capabilities.